SOLD OUT. 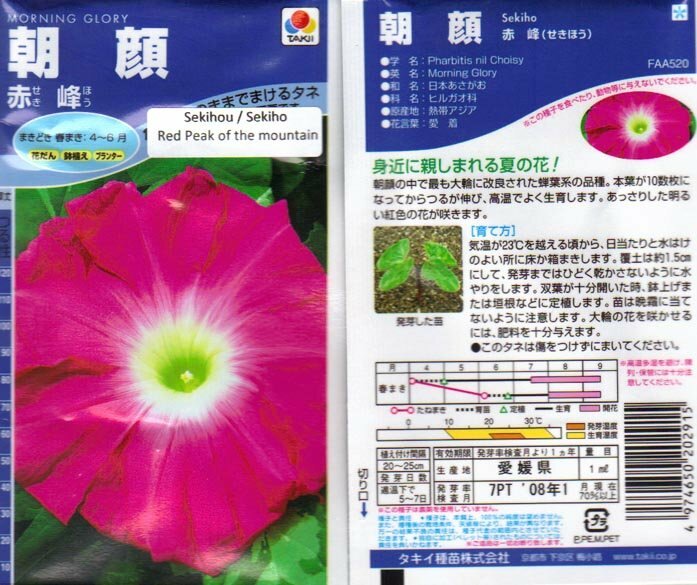 JAPANESE MORNING GLORY SEEDS of the variety ''Sekihou (Sekiho)'' , The Red Peak of the Mountain, (Ipomoea nil). These seeds are IN THE ORIGINAL SEED PACKAGE FROM THE COMPANY IN JAPAN. Large, ruffled, reddish-pink blooms with white throat. Can you imagine the mountian peak covered with snow and the sun setting at just the perfect angle to turn all but the highest part of the mountain to a reddish pink? 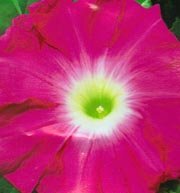 'Sekihou" sometimes spelled Sekiho 'Red Peak of the Mountain"
These are large bloomed Japanese Morning glories with ruffled edges - in reddish-pink with a bold white throat. Can you imagine the mountain peak covered with snow and the sun setting at just the perfect angle to turn all but the highest part of the mountain a breathtaking reddish-pink? That's what you'll have every morning with these beautiful blooms!